The monthly breakfasts are still going strong and, if I'm honest, it's getting a little difficult to find a breakfast that isn't very heavy on the Eggs Benedict vibe, especially if you're a sweet avoider as I am. Happily, though, Nopi near Oxford Circus, provides something a little different. From the Ottolenghi stable, I've enjoyed lunches and dinners here, though much like Ottolenghi's recipes themselves I've sometimes found their dishes a little... over-flavoured. As if perhaps they'd taken it one flavour profile too far. Not so much the case for breakfast, thankfully. 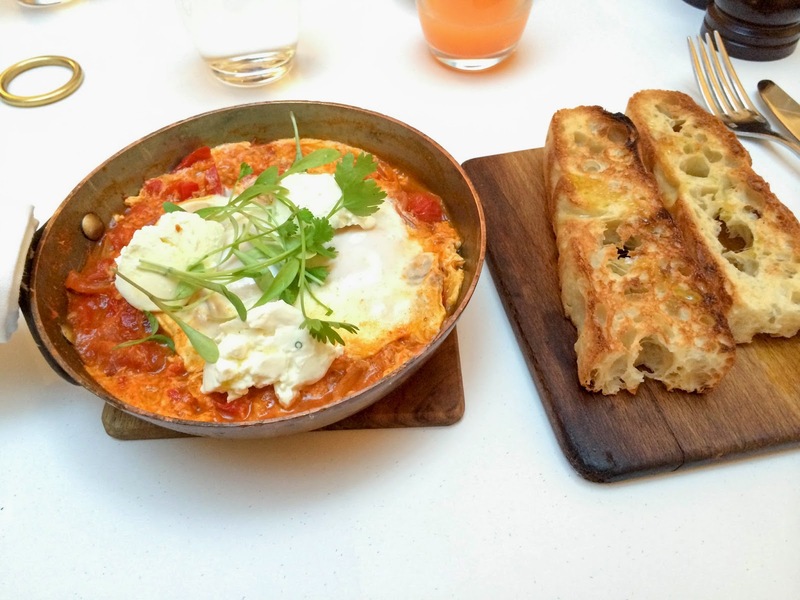 Shakshuka is a traditional Middle Eastern dish of eggs poached in a spiced tomato and pepper sauce. Here, they're served in individual roasting hot cast iron pans with a dollop of smoked labneh - that's a thick, strained yoghurt - on top, that threatened to overwhelm but in fact tempered the spices. Perfectly poached, rich orange-yolked eggs were scooped up with toasted bread that was just the right amount to stave off any morning waddle. Do go and have a gaze around the ladies loos when you're there. They're something to behold. OK, so that definitely looks good. I love Nopi but haven't tried the breakfast. I think I will now. You didnt mention the price. wtf. Other somewhere - it definitely was. Anon - Thank you for your geographic corrections. Anon - I don't remember the price, FFS. Around £10. Maybe. 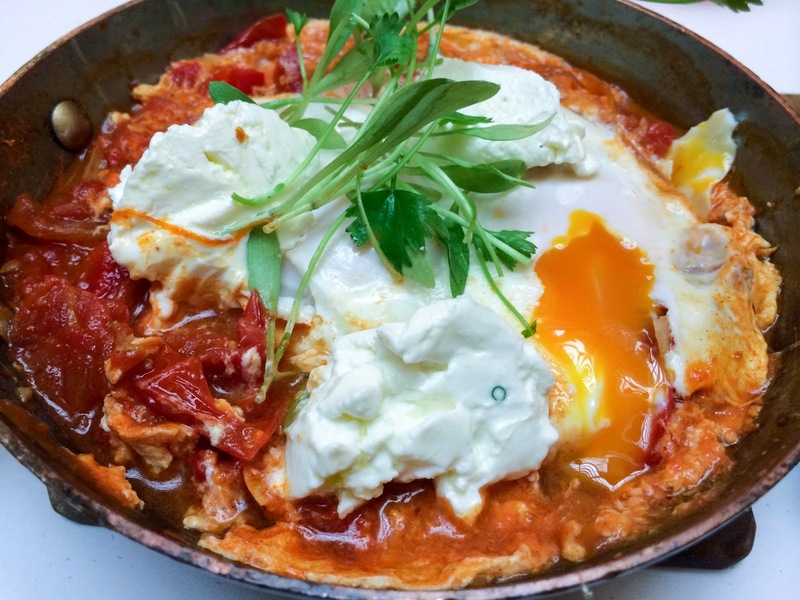 I think the comment on price was based on the fact that the NOPI website only lists a sample set breakfast menu at £22/head (juice/coffee + pastries + main dish) which seems a little steep - presumably that's not what you had! Selena - do you think so? The WTF threw me. The website is deeply unhelpful on that front!